As far from original as it may seem, you have to agree that Paris is the undisputed City of Love! There's no possible way that the city of good food and wine could make a mess of your big day in any way. 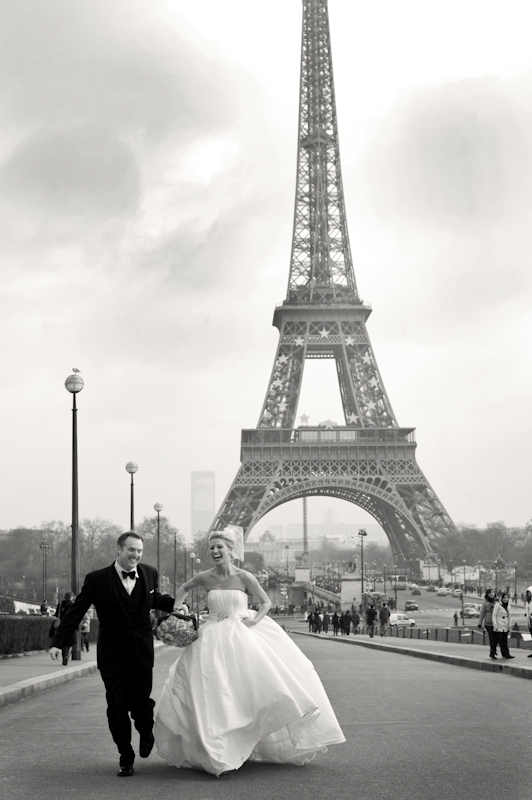 A city that is richly loaded with a zest for life, could make your wedding more memorable than you had anticipated. Apart from the "love for love", the city will keep your guests occupied too, thanks to its rich culture. Guest can indulge in some major sight seeing, since Paris houses some of the most popular monuments and tourist attractions ever. The Eiffel Tower, Museum of Louver, Palace of Versailles, or the multitude of chateaus... If not that, some wine tasting never hurt anybody. Bottom line, no matter what your preference, there is more than enough to pick from. Amongst the things to love about this place is the fact that along with being a great pick, it is more affordable too. One of the most popular and vivacious islands in Hawaii, Oahu is in fact nicknamed The Gathering Place. The name alone makes this place right for a wedding! The island which is the third largest of all Hawaiian islands, Oahu is also home to Hawaii's capital, Honolulu. In fact, if it is a destination beach wedding that you've always dreamed of, there is no doubt that this island is the right decision. With a myriad of beaches to choose from, this is definitely the best beach destination that could ever be thought of. While the most popular beaches would undoubtedly be Waikiki Beach, Sunset Beach, and Sandy Beach, others that you could consider would be, Waimea Bay, Kaneohe Bay, Waimanalo Beach, Banzai Beach, the Pipeline and Hanauma Bay. If the choice of beaches isn't reason enough to pick Oahu, other attractions should be. Well-known attractions like Pearl Harbor, USS Missouri, USS Arizona Memorial, Valley of Temples Memorial Park, the North Shore, and the South Shore, better known as Waikiki, are all part of Oahu.